Self-Help Federal Credit Union’s branch in Fresno, California has made over 1,000 loans since opening August 2015. In itself, that’s not a remarkable number. But what is noteworthy is that 70 percent of its borrowers come from low-income households and 91 percent are people of color. 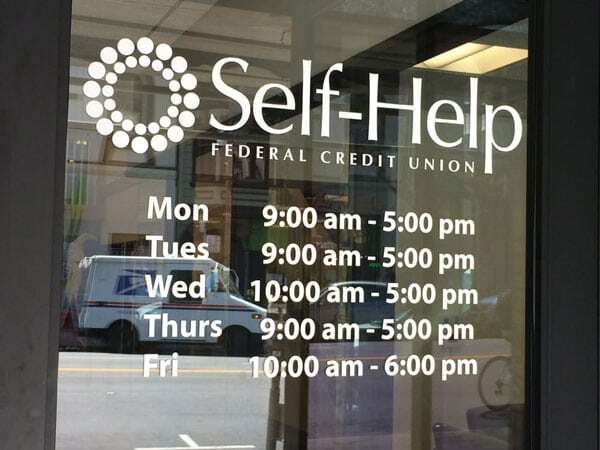 Self-Help, based in Durham, North Carolina, is the nation’s largest community development financial institution (CDFI) with 145,000 member-owners. The community development credit union has over $2 billion in assets and has originated $7.1 billion in loans over 37 years. Among the bank’s initial investors were Central Valley Community Bank, Fresno First Bank, and Educational Employees Credit Union. Banks, of course, receive community reinvestment act credit by investing in CDFIs that serve low-to-moderate income communities. The credit union does not, but the fact that Pereirra used to work there might have helped persuade them to invest. The Chicago Community Trust created the Benefit Chicago fund to pool its assets…with assets from the MacArthur Foundation and invest that pool, totaling $100 million, into projects that benefit low- and moderate-income communities in and around Chicago. In Grand Rapids, the city with the largest wealth inequality in Michigan, the Grand Rapids Community Foundation provided a $200,000 loan to a new loan fund that focuses on entrepreneurs who have been excluded from small business lending because of their income, net worth and other factors that often align with racial disparities. In the Washington, D.C. metropolitan area, the Washington Regional Association of Grantmakers partnered with Enterprise Community Loan Fund to create the “Our Region, Your Investment” initiative, which provides loans to support tenants in purchasing their own affordable buildings in D.C., preventing those buildings from being sold to market-rate developers, most likely leading to displacement. In Philadelphia, earlier this year, The Philadelphia Foundation partnered with Reinvestment Fund to create the PhilaImpact Fund, a commitment to invest $30 million in community foundation assets into neighborhood development projects that support regional growth and local initiatives benefiting low- and moderate-income households throughout Greater Philadelphia. Abello notes the irony that so many community foundations fail to invest more of their assets in the communities they serve. But he observes that “laws, regulations and informal customs” of “fiduciary responsibility”—a doctrine that means serving an institution’s best interests, but which can be used to justify focusing solely on economic return—often serve to dissuade. Still, this is not an insurmountable bar. “We still have a fiduciary responsibility, so it was a board conversation and a board decision to open the account [at Self-Help Federal Credit Union] and make it available for the purposes that it’s available for,” notes Elliott Balch, chief operating officer at Central Valley Community Foundation. In any case, the growth of the CDFI industry makes the financial risk much less than it once was. For example, The Philadelphia Foundation invested in the Reinvestment Fund, which, notes Abello, has around $465 million in assets and an “AA” rating, which is safer than the bonds of California or eight other states. Self-Help also has a stellar record, never having lost a single dollar of any depositor. Deposits up to $250,000 are federally insured. And the credit union’s loan delinquency rate is a low 0.86 percent. “It was not a difficult conversation with the board,” says Balch.